I found your blog online whilst looking for water testing equipment. I hope you don't mind me contacting you! I am a sessional lecturer at JCU Singapore and teach a first year subject called Environmental Processes and Global Change. It is essentially an introductory amalgam of geography and ecology. I take my students on at least two field trips (and a 3rd if we have time and the weather is kind to us!) Last year, for one trip, we went around the corner to Bishan Park to do a number of activities, including water quality testing. The kit I used was borrowed from (removed by blog owner) and was really far too basic for our needs (although none of the students had ever done ANY field work before so it was still fun). I would like to order a kit for the department (we don't have one yet), preferably one that has a number of options and could be used for other subjects (e.g., marine science, aquaculture etc). Do you know of a brand / local supplier you could recommend? Ideally it would be robust (come in a lightweight case) and give accurate enough data to compare DO, pH, salinity, temp etc between locations. I have found a kit online from a company based at Ubi Ave (bksna.com.sg), but would appreciate any recommendations or advice before I go any further! It would be nice to touch base with you anyway, as it seems we may be teaching similar subjects. Glad to see that you bring your students for field trips. I always believe that our students don't go out of their classroom enough. There are of course logistics and safety to be concerned with but something suitable can usually arranged. Previously, I minimise mentioning about companies, brands and models as I don't want to be seen to be endorsing them. 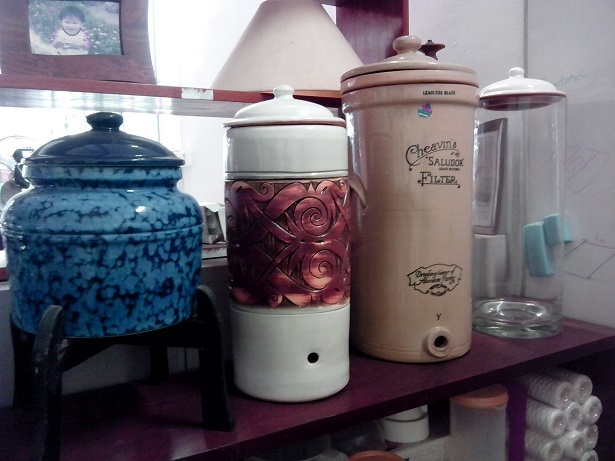 However, there had been many requests from my readers to recommend vendors and equipment to them, whether for water filtration, water quality monitoring (WQM) or water engineering. I realise that I am doing a disservice to you by withholding such information. But first my caveat: throughout my blog, any recommendation of companies, brands, models is purely based on my experience and knowledge. Unless stated explicitly, I am in no way affiliated to them and derive no benefits from recommending them. 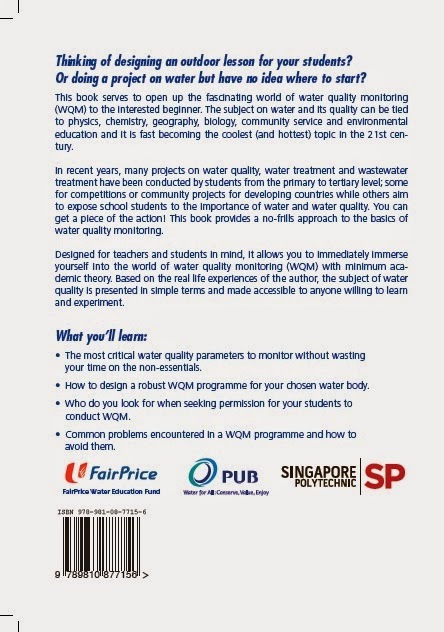 You may want to read my book "Your first guide to water quality monitoring in Singapore" for a description of the WQM equipment that I have used. It is available online free at PUB's website. 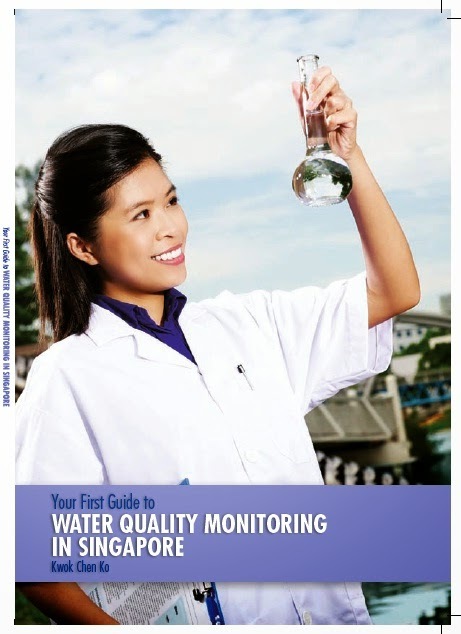 There are actually many distributors of many brands of water testing equipment in Singapore but the following are the few I have worked with and feel comfortable enough to recommend. Most of the equipment comes from the brand, Aqualytic. Local distributor is Quantum Technologies Global Pte Ltd. The Hach series of products (including test strips) is also very good as it is a very established supplier in the area of water testing. Local distributor is Fluke South East Asia Pte Ltd. The YSI brand is also very reputable and their products are usually designed tough for field work. One distributor is Spectra-Teknik. I am not sure about bksna as I have never used their equipment before or heard any reviews about them. Still, you can go ahead to check out their specs and prices and compare to the others above.